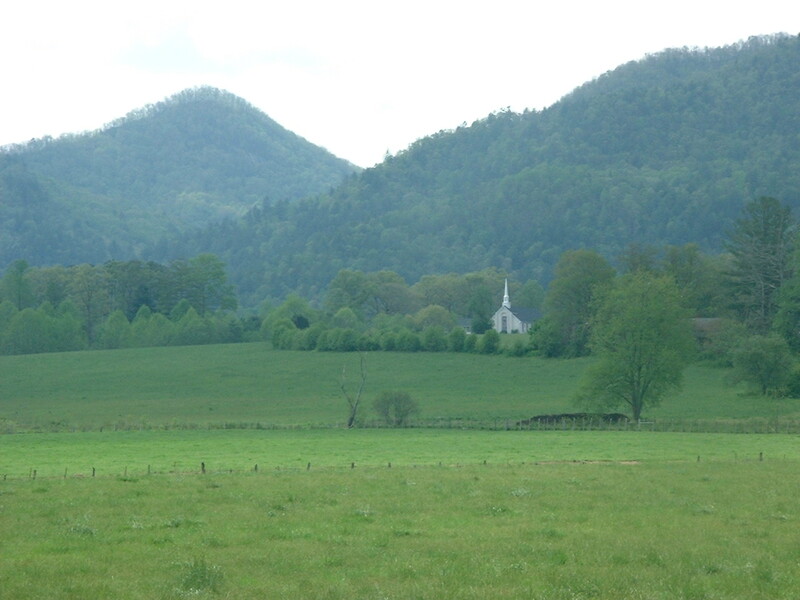 Bartram’s list of 43 Cherokee towns begins with those “on the Tanase east of the Jore Mountains.” Those mountains are now called the Nantahala Mountains. The Tanase is the Little Tennessee River. The four towns listed were all in what is now Macon County, North Carolina. Tanasi, from which came the name of the river and the state of Tennessee, seems to have had no meaning in Cherokee. I tend to agree with those who believe it was originally a Yuchi town name. The Yuchi occupied a good chunk of eastern Tennessee before they were overrun by the Cherokee and apparently forced to migrate and live along the Savannah River. From there they were forced westward by the whites and eventually had to merge with the Creeks. Let’s take a look at those four towns. But, first, even though I have said that more than 200 Cherokee town names are recorded, we should not imagine that any such number existed at any one time. In over 400 years of contact with the whites, many towns were abandoned for one reason or another, including European diseases and encroachment by settlers. Some of the “settlements” were no more than four or five families, and very few of them would have had more than 200 families. We have no way to know if Bartram’s list included all the towns that were inhabited at the time of his travels. However, it is likely that the most important towns made the list. The four towns, in the order listed: Echoee, Nucasse, Whatoga, and Cowee. The sequence seems to have been from the south of [the present] Franklin, and proceeding northward. Echoee was his attempt at putting Itseyi into English letters. Itseyi is “new place.” [See Ellijay, in Part 1, for more detail.] The town was also known as Gadug-itseyi, which translates as “New Town,” the same name as the ill-fated Newtown in Connecticut, which, sadly, is very much in the news as I am writing now on 15 December 2012. It was located near the junction of Cartoogechaye Creek and the Little Tennessee River, which explains the origin of the creek’s name. Locally, it is pronounced “Car-tooga-jay,” with the second and last syllables accented. By the way, the April 2009 issue of National Geographic magazine says that Cartoogechaye means “cornfields”; their source is way off on that one. As one heads north on U.S. Highway 441, in Franklin, North Carolina, there appears a large and ancient mound on the left, a few hundred feet from the Little Tennessee River, some three miles north of the Cartoogechaye. Here, before the white men came, was the important Cherokee town called Nikwasi, Bartram’s Nucasse; it is sometimes written Nucassee. Now, only the mound remains. Nikwasi has no meaning in Cherokee, and the mound was there long before they came; it was built about 1000 ACE. Perhaps, during the early 17th Century, the town belonged to one of the Creek bands. Before that, it was likely a Yuchi town of some importance. Nikwasi did not mean “center of gravity” as stated in some modern promotional writings. In fact, until about 1700, the Creek Indians held almost all of northern Georgia and Alabama and some of the lands in eastern Tennessee and western North Carolina. The Cherokee pushed them relentlessly to the south and west, taking their towns and keeping the names as best they could be rendered in the Cherokee language. By 1770 or so, the Creeks had lost the final battles and lands and towns to the Cherokee. The Creeks, in their turn had often preserved the names of towns and places given by still earlier inhabitants. Let’s look at a few other sites before we close Part 9. Not far from Hayesville, North Carolina, is Shooting Creek and the Shooting Creek community. Near where the creek emptied into the Hiwassee River was the old settlement of Dani’sta-la-nv’yi, which translates roughly as “place where there were always shooting noises.” Unfortunately, the site of the town is now covered by Lake Chatuge. The Cherokee word was too much of a mouthful for English speakers, so it became Shooting Place and that became Shooting Creek. A modern Cherokee word from the same root is Distayohi [“he shoots off firecrackers,” for Santa Claus, so Christmas is Danistayohihv, “when they always shoot off firecrackers”]. Those of us who grew up in the mountains of North Carolina remember the custom used to be to make loud shooting noises at Christmas and New Year, with whatever one had by way of firearms or firecrackers or even dynamite. There probably were only two Cherokee towns called “Estatowe” when Bartram passed through in the late spring of 1775. We have to use his spelling, because there are no better records of the Cherokee pronunciation, and I have no clear idea of the original meaning of the name. He places one of them a little below the place where the Tallulah and Chattooga Rivers form the Tugaloo. The other, which he mentions as “Estatowe great,” was on Eastatoe Creek in Pickens County, South Carolina, and the creek bears its name. We should note that the name Eastatoe also occurs in Eastatoe Falls and Eastatoe Gap, near Rosman, NC, not so very far from Eastatoe Creek and Little Eastatoe Creek. There seems to be a trend to spell Eastatoe with only one final E.
The third Estatowe must not have been in existence in 1775. There are several reports of such a town at the base of Estatoah Falls, in Rabun County, Georgia. 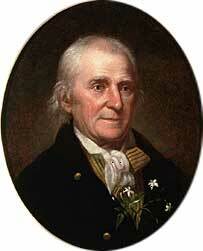 Chief Junaluska was born somewhere within a few miles of the falls in 1775. Bartram specifically described this place as he found it after reaching the Little Tennessee River’s headwaters and proceeding downstream. This photo is the Little Tennessee River, near its headwaters, in Wolf Fork Valley, two or three miles upstream from the confluence with Mud Creek. The photo which follows below more accurately represents the beauty of Wolf Fork Valley, just a few hundred yards from the preceding scene. There existed among the Old Cherokee a barely remembered legend of a strange race of white people who were already living near the head of the Little Tennessee River when the Cherokee first arrived, long before the white men came to America. If there is any truth in that legend, Wolf Fork Valley would have been an idyllic place in those long ago days. Now and then, we all daydream of time travel. We can only imagine the things we might learn in such voyages. A few miles the confluence of Mud Creek and the Little Tennessee River, just across the line into North Carolina, Tessentee Creek joins the Little Tennessee from the east. Somewhere near this junction lay the small Cherokee village of Tesantee, from which the creek takes its name. We do not know what the name may have meant long ago. Later, in the 1880’s, there was a post office called Tesinta in the same area. Addendum: Because Cowee is such a special place, I am departing from my usual pattern in order to include two stories about it. They are taken directly from Mooney’s Myths of the Cherokee, which is readily available online elsewhere; I place them here because of their connection to the town in this section. We should also point out that Tsali lived in Cowee town before the Cherokee were forced out of it in 1819. There is more information about Tsali in the Trail of Tears section. Cowee’, properly Kawi’yĭ, abbreviated Kawi’, was the name of two Cherokee settlements, one of which existed in 1755 on a branch of Keowee river, in upper South Carolina, while the other and more important was on Little Tennessee river, at the mouth of Cowee creek, about 10 miles below the present Franklin, in North Carolina. It was destroyed by the Americans in 1776, when it contained about a hundred houses, but was rebuilt and continued to be occupied until the cession of 1819. The name can not be translated, but may possibly mean “the place of the Deer clan” (Ani’-Kawĭ’). It was one of the oldest and largest of the Cherokee towns, and when Wafford visited it as a boy he found the trail leading to it worn so deep in places that, although on horseback, he could touch the ground with his feet on each side. Some warriors of Chilhowee town, on Little Tennessee, organized a war party, as they said, to go against the Shawano. They started off north along the great war trail, but when they came to Pigeon river they changed their course, and instead of going on toward the Shawano country they went up the river and came in at the back of Cowee, one of the Middle settlements of their own tribe. Here they concealed themselves near the path until a party of three or four unsuspecting townspeople came by, when they rushed out and killed them, took their scalps and a gun belonging to a man named Gûñskăli’skĭ, and then hurriedly made their way home by the same roundabout route to Chilhowee, where they showed the fresh scalps and the gun, and told how they had met the Shawano in the north and defeated them without losing a man. According to custom, preparations were made at once for a great scalp dance to celebrate the victory over the Shawano. The dance was held in the townhouse and all the people of the settlement were there and looked on, while the women danced with the scalps and the gun, and the returned warriors boasted of their deeds. As it happened, among those looking on was a visitor from Cowee, a gunstocker, who took particular notice of the gun and knew it at once as one he had repaired at home for Gûñskăli’skĭ. He said nothing, but wondered much how it had come into possession of the Shawano. The scalp dance ended, and according to custom a second dance was appointed to be held seven days later, to give the other warriors also a chance to boast of their own war deeds. The gunstocker, whose name was Gûlsadihĭ’, returned home to Cowee, and there heard for the first time how a Shawano war party had surprised some of the town people, killed several, and taken their scalps and a gun. He understood it all then, and told the chief that the mischief had been done, not by a hostile tribe, but by the false men of Chilhowee. It seemed too much to believe, and the chief said it could not be possible, until the gunstocker declared that he had recognized the gun as one he had himself repaired for the man who had been killed. At last they were convinced that his story was true, and all Cowee was eager for revenge. It was decided to send ten of their bravest warriors, under the leadership of the gunstocker, to the next dance at Chilhowee, there to take their own method of reprisal. Volunteers offered at once for the service. They set out at the proper time and arrived at Chilhowee on the night the dance was to begin. As they crossed the stream below the town they met a woman coming for water and took their first revenge by killing her. Men, women, and children were gathered in the townhouse, but the Cowee men concealed themselves outside and waited. In this dance it was customary for each warrior in turn to tell the story of some deed against the enemy, putting his words into a song which he first whispered to the drummer, who then sang with him, drumming all the while. Usually it is serious business, but occasionally, for a joke, a man will act the clown or sing of some extravagant performance that is so clearly impossible that all the people laugh. One man after another stepped into the ring and sang of what he had done against the enemies of his tribe. At last one of the late war party rose front his seat, and after a whisper to the drummer began to sing of how they had gone to Cowee and taken scalps and the gun, which he carried as he danced. The chief and the people, who knew nothing of the treacherous act, laughed, heartily at what they thought was a great joke. But now the gunstocker, who had been waiting Outside with the Cowee men, stripped off his breechcloth and rushed naked into the townhouse. Bending down to the drummer–who was one of the traitors, but failed to recognize Gûlsadihĭ’–he gave him the words, and then straightening up he began to sing, “Hi! Ask who has done this!” while he danced around the circle, making insulting gestures toward every one there. The song was quick and the drummer beat very fast. He made one round and bent down again to the drummer, then straightened up and sang, “Yu! I have killed a pregnant woman at the ford and thrown her body into the river!” Several men started with surprise, but the chief said, “He is only joking; go on with the dance,” and the drummer beat rapidly. With that he waved his hand and left the townhouse. The dancers looked at each other uneasily and some of them rose to go. The chief, who could not understand it, urged them to go on with the dance, but it was of no avail. They left the townhouse, and as they went out they met the Cowee men standing with their guns ready and their hatchets in their belts. Neither party said anything, because they were still on friendly ground, but everyone knew that trouble was ahead. The Cowee men returned home and organized a strong party of warriors from their own and all the neighboring Middle settlements to go and take vengeance on Chilhowee and on Kuwâ’hĭ, just below, which had also been concerned in the raid. They went down the Tennessee and crossed over the mountains, but when they came on the other side they found that their enemies had abandoned their homes and fled for refuge to the remoter settlements or to the hostile Shawano in the north.